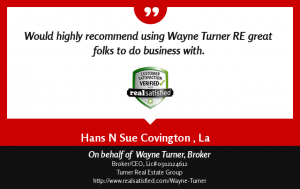 Buy a home in Saint Tammany Parish Imagine buying your dream home. Let our experienced staff help you make it happen. Ready to find your next home? Whether you are downsizing, upgrading, first time buying, or looking to invest we have an agent for you! The biggest duty a real estate agent has to a home buyer is to help guide through the process of financing, home searching, negotiating, home inspection, appraisals, and so much more. Our team of local experts is ready to guide you through this home-buying process. Each of our realtors have passed not only licensing, but Turner Training to have a better understanding of the Home Buying process. 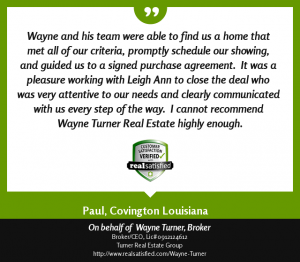 We are committed to fast, professional and courteous service to help you understand and feel at ease throughout the home buying process. 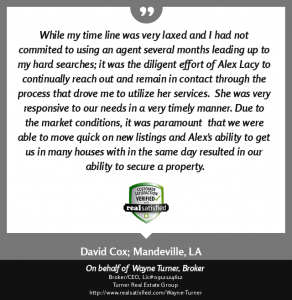 Our trained and licensed agents specialize in the Saint Tammany Parish area real estate market and are prepared to find the right home and get the best price.